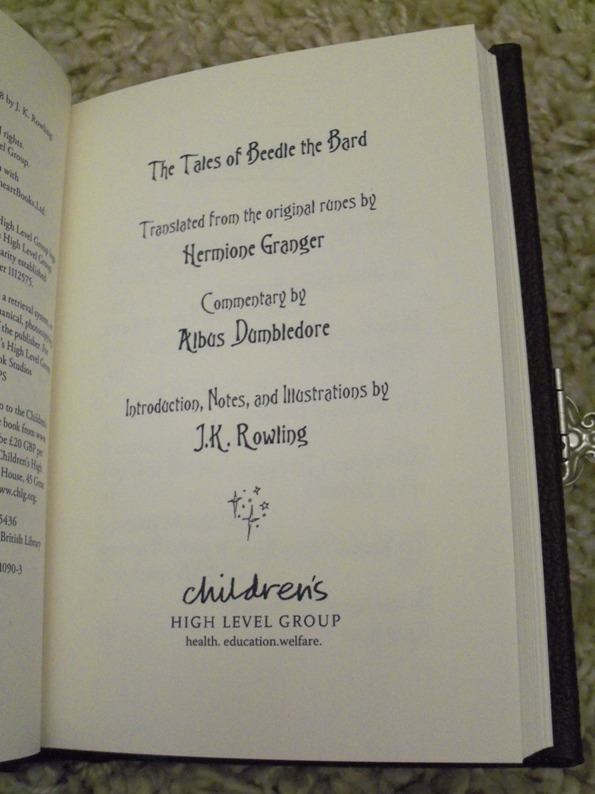 Synopsis: The Tales of Beedle the Bard, a Wizarding classic, first came to Muggle readers’ attention in the book known as Harry Potter and the Deathly Hallows. Now, thanks to Hermione Granger’s new translation from the ancient runes, we present this stunning edition with an introduction, notes, and illustrations by J. K. Rowling, and extensive commentary by Albus Dumbledore. Never before have Muggles been privy to these richly imaginative tales: “The Wizard and the Hopping Pot,” “The Fountain of Fair Fortune,” “The Warlock’s Hairy Heart,” “Babbitty Rabbitty and Her Cackling Stump,” and of course, “The Tale of the Three Brothers.” But not only are they the equal of fairy tales we now know and love, reading them gives new insight into the world of Harry Potter. The stories are accompanied by delightful pen-and-ink illustrations by Ms. Rowling herself, featuring a still-life frontispiece for each one. Professor Dumbledore’s commentary—apparently written some eighteen months before his death—reveals not just his vast knowledge of Wizarding lore, but also more of his personal qualities: his sense of humor, his courage, his pride in his abilities, and his hard-won wisdom. Names familiar from the Harry Potter novels sprinkle the pages, including Aberforth Dumbledore, Lucius Malfoy and his forebears, and Sir Nicholas de Mimsy-Porpington (or “Nearly Headless Nick”), as well as other professors at Hogwarts and the past owners of the Elder Wand. Dumbledore tells us of incidents unique to the Wizarding world, like hilariously troubled theatrical productions at Hogwarts or the dangers of having a “hairy heart.” But he also reveals aspects of the Wizarding world that his Muggle readers might find all too familiar, like censorship, intolerance, and questions about the deepest mysteries in life. 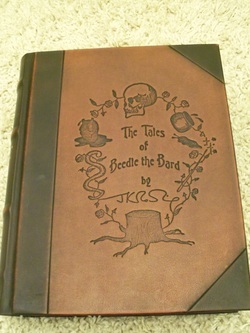 Review: The Tales of Beedle the Bard, Collector's Edition offered exclusively by Amazon. 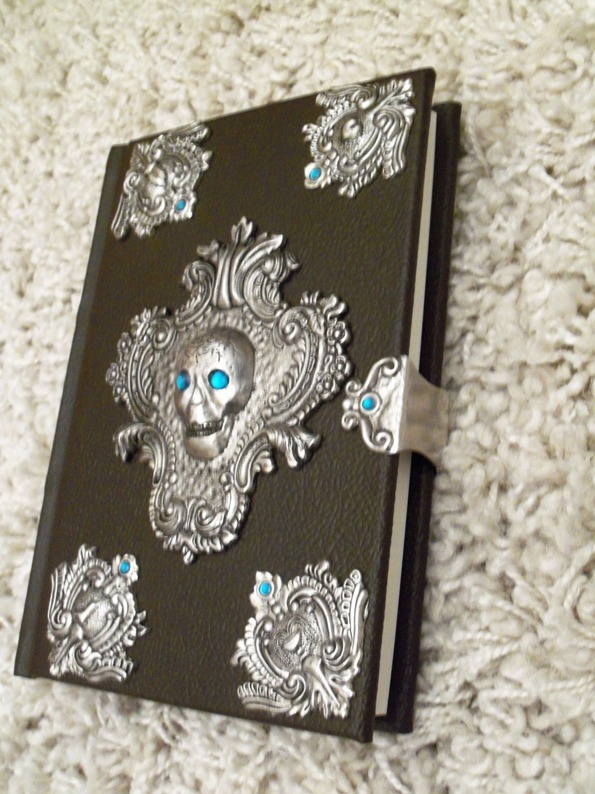 In December 2007, J.K. Rowling unveiled The Tales of Beedle the Bard, a very special book of five fairy tales illustrated by the bard herself, embellished with silver ornaments and mounted moonstones. Amazon was fortunate to come into possession of one of the original copies, and it was our privilege to share images and reviews of this incredible artifact. Now J.K. Rowling is giving millions of Harry Potter fans worldwide cause for celebration with a new edition of The Tales of Beedle the Bard (available December 4, 2008) and Amazon is thrilled to exclusively offer a luxuriously packaged Collector's Edition designed to evoke the spirit of the handcrafted original. Tucked in its own case disguised as a wizarding textbook found in the Hogwarts library, the Collector's Edition includes an exclusive reproduction of J.K. Rowling's handwritten introduction, as well as 10 additional illustrations not found in the Standard Edition or the original. 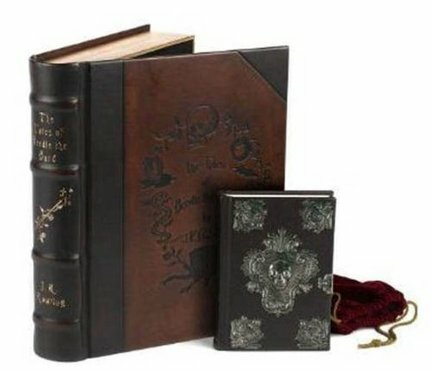 Opening the case reveals a velvet bag embroidered with J.K. Rowling’s signature, in which sits the piece de resistance: your very own copy of The Tales of Beedle the Bard, complete with metal skull, corners, and clasp; replica gemstones; and emerald ribbon. As a special gift for fans, the Collector's edition also includes a set of 10 ready-for-framing prints of J.K. Rowling's illustrations, enclosed in a velvet-lined pocket in the lid of the outer case. Offering the trademark wit and imagination familiar to Rowling's legions of readers--as well as Aesop's wisdom and the occasional darkness of the Brothers Grimm--each of these five tales reveals a lesson befitting children and parents alike: the strength gained with a trusted friendship, the redemptive power of love, and the true magic that exists in the hearts of all of us. Rowling's new introduction also comments on the personal lessons she has taken from the Tales, noting that the characters in Beedle's collection take their fates into their own hands, rather than taking a prolonged nap or waiting for someone to return a lost shoe, and that magic causes as much trouble as it cures. But the true jewel of this new edition is the enlightening and comprehensive commentary (including extensive footnotes!) by Professor Albus Percival Wulfric Brian Dumbledore, who brings his unique wizard's-eye perspective to the collection. 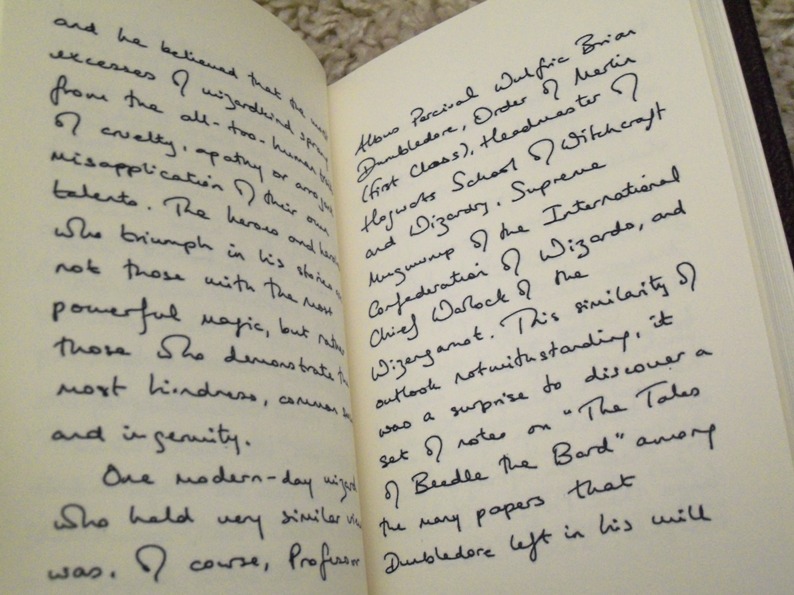 Discovered among the many papers which Dumbledore left in his will to the Hogwarts Archives, the venerable wizard's ruminations on the Tales allow today's readers to place them in the context of 16th century Muggle society, even allowing that Beedle was somewhat out of step with his times in preaching a message of brotherly love for Muggles during the era of witch hunts that would eventually drive the wizarding community into self-imposed exile. In fact, versions of the same stories told in wizarding households would shock many for their uncharitable treatment of their Muggle characters. Professor Dumbledore also includes fascinating historical backstory, including tidbits such as the history and pursuit of magic wands, a brief comment on the Dark Arts and its practitioners, and the struggles with censorship that eventually led a certain Beatrix Bloxam to cleanse the Tales of much of the darker themes that she found distasteful, forever altering the meaning of the stories for their Muggle audience. Dumbledore also allows us a glimpse of his personal relationship to the Tales, remarking that it was through Babbity Rabbity and Her Cackling Stump that many of us [wizards] first discovered that magic could not bring back the dead. Both a wise and delightful addition to the Harry Potter canon, this new translation of The Tales of Beedle the Bard is all that fans could hope for and more--and an essential volume for the libraries of Muggles, wizards, and witches, both young and old. This copy will be accompanied by an original Sotherby's catalogue isued for the sale of the original hand-crafted book by Rowling, subsequently purchased by Amazon for approx £2,000,000. This catalogue is in mint, unread condition, and contains many photographs of the origianl book.